They been let off the hook again. Wayne Barnes asks the TMO is there any reason not to award the try, as the on-field decision was a try. 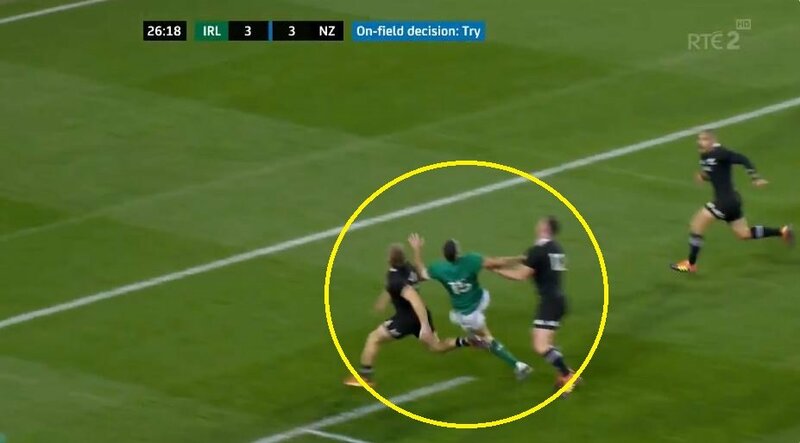 Despite the footage not showing anything ‘clear and obvious’ the try is disallowed.